As outside temperatures drop, we at N.E.T. are busy building the first batch of IREF LITE sensors, our new low-cost NDIR-based sensor for A2L refrigerants. This new line, being premiered at the recent Chillventa exhibition in Nuremberg, is now entering the production phase. We have also added new refrigerants and ranges to our IREF PRO series. Please, don’t hesitate to contact our staff if you are interested into a sample. At the same time, we are preparing for HVACR-related events, AHR Expo in the United States and Refrigera in Italy, where the most complete line of gas detection products and solutions for the HVACR industry will be displayed: CO2, Ammonia, Propane, HFCs and HFOs. IREF LITE will make the gas selectivity, accuracy, poison immunity and extended lifetime of NDIR technology affordable in residential and commercial settings, dramatically improving detection performances, increasing occupants’ safety and lowering cost-of-ownership. The AHR Expo, to be held in Atlanta on January 14-15-16, is the world’s largest HVAC-R event, attracting industry professionals from around the globe each year, co-sponsored by ASHRAE and AHRI, endorsed by many industry leading organizations and held concurrently with ASHRAE’s Winter Conference. 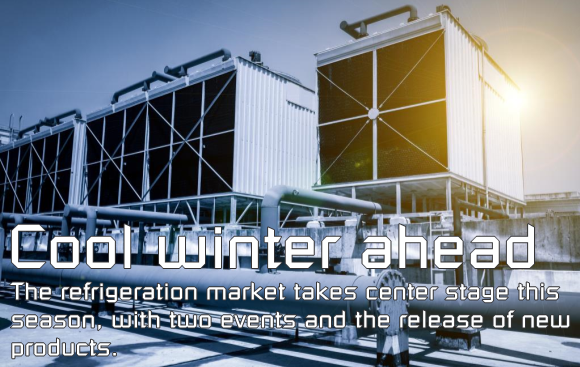 REFRIGERA 2019 is the first event in Italy dedicated exclusively to the entire production chain of industrial and commercial refrigeration industry. The event is organized in cooperation with ASSOFRIGORISTI and the most important national and international sector Associations. On January 14th, we will be talking about INFRARED SENSORS FOR REFRIGERANT LEAK DETECTION IN THE COMMERCIAL/INDUSTRIAL HVACR SECTOR during the AHR Expo New Product and Technology Education sessions. As the industry keeps on adding new refrigerants to the market, so are we to our range of detecting solutions. R-143a, R-227ea in ppm and R-1234yf, R-1234ze and R-32 in %LEL are only the latest additions to our extensive scope. New A2L refrigerants will soon join the list. Check the link below for our complete portfolio. The new NET3/PL Nylon detection head from N.E.T. will bring you at a compact price all the benefits of our classic NET3 heads, including IP65 rating, front M46 thread and three possible threads at the rear (3/4”, 1” and M20).